Eden Hazard says he would be open to a ‘dream’ offer from Real Madrid this summer with talks on a new Chelsea contract still some way off. 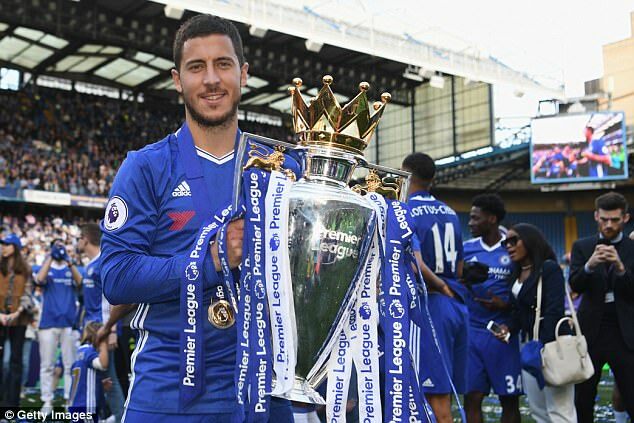 The European champions are long-term admirers of the Premier League winners’ superstar player and, in March, Sportsmail revealed Real’s plans to make Hazard their next Galactico. While Hazard is adamant that he is happy to stay at Stamford Bridge, his public statement of admiration for Madrid will cause concern for Antonio Conte as he looks to keep a key man away from the lure of La Liga. Real manager Zinedine Zidane is Hazard’s childhood hero and would appear to be the only man able to poach the 26-year-old away from west London. When quizzed on what he would do if a concrete proposal were to come from Zinedine Zidane’s team, he said: ‘Of course, I would listen. ‘Honestly, I do not know what offers will arrive. I only know that I have three years under contract at Chelsea. ‘Last year, we had a great season together with Antonio. We want to continue like that, in the Champions League too. I feel good at Chelsea, but you never know what will happen. 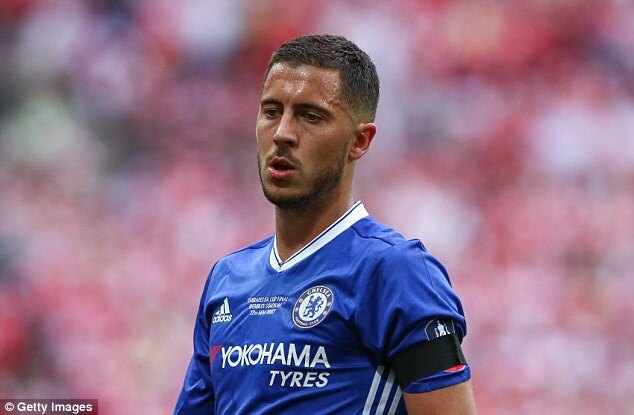 Chelsea have no interest in letting Hazard, the key man in their attack, go at any price although it remains to be seen if that resolve would be tested by a world-record bid of over £89.3million and a desire from the player to join Real. Hazard hit 16 Premier League goals last season, his best tally since moving from Lille in a £32m move five years ago. He missed out on the PFA Player of the Year prize to team-mate N’Golo Kante but did top a Chelsea fans’ vote for the club’s own award for the third time in four seasons. 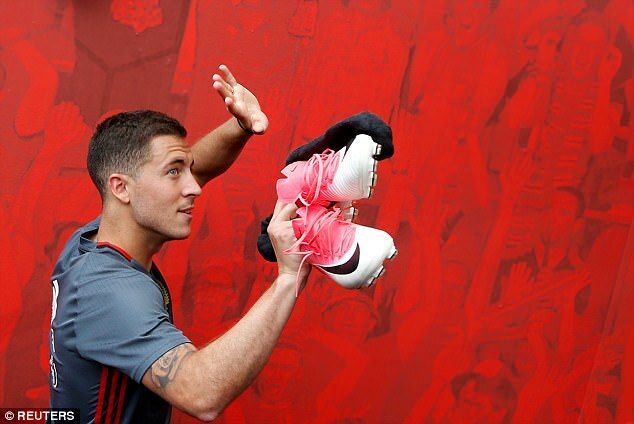 ‘I like it here (at Chelsea) because it’s a family club,’ Hazard said. ‘I have a lot of friends and we all talk to each other. In terms of games and experience I’m one of the oldest players and that’s good.